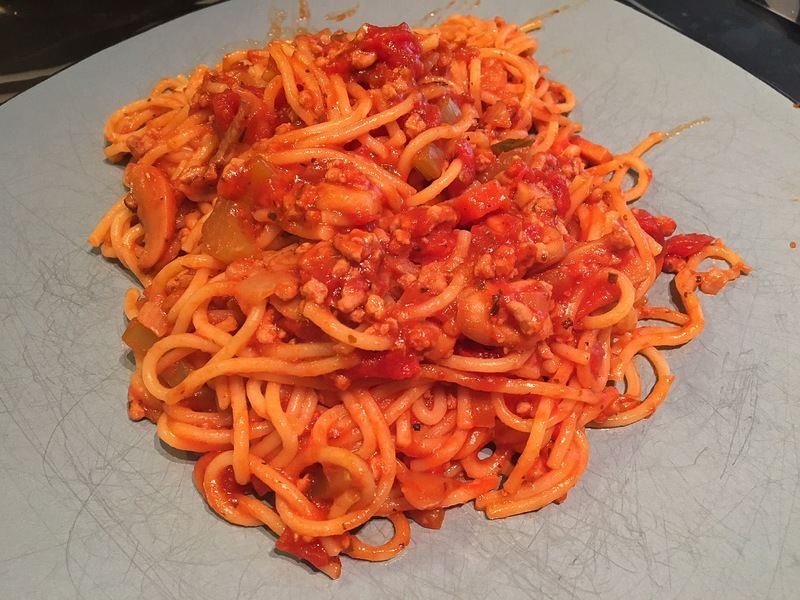 It has been a little time since my last post and I hope to add a few recipes to the blog over the next few weeks, I will start it off today with a tasty dish of pasta. Pasta tends to be a delicious part of my entree meals through out the month and my favourite types of pasta are Penne, Spaghetti and Linguine. I also tend to incorporate spice into my meals, now I know not everyone is a big fan of spicy food but I just love it. Those that have been to restaurants especially Italian ones have had or seen arrabbiata on the menu, which basically means spicy sauce. I decided to use spaghetti but any long strain of pasta would work, like linguine, fettuccine or angel hair. Then to bring in the heat I used a tomato sauce with chilies as well as chili flakes the amount in the recipe provides a decent amount of spice but use more or less depending on your taste buds. 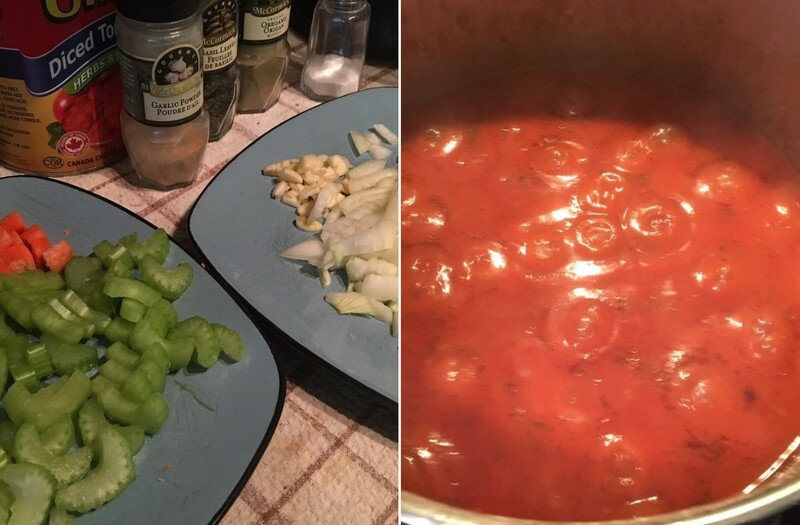 I also decided to go heavy on veggies but you can omit or even add more to the recipe as you like as for the ground meat I used pork because basically it was all I had on hand and worked great but give beef a whirl. 1- Heat large pot on medium heat and add ground pork, cook until brown about 3-4 minutes. 2- Drain grease from pot, use mesh to hold in meat, add olive oil, onion, garlic cloves, carrots and celery, cook 3 minutes stirring to combine. 3- Add all other ingredients, minus chili flakes and spaghetti. 4- Bring pot to a boil then reduce heat to a simmer and cook for 90 minutes ,stirring occasionally. 5- Add chili flakes to sauce after it has cooked for 60 minutes, stir to mix. 6- Cook spaghetti as per package directions in separate pot and then drain and set aside. 7- Add spaghetti to sauce in last minute of cooking sauce, mix in well with thongs.